The marketing for Alice: Madness Returns was dark. The game itself, though, was mostly just strange, with a dash of quaint. Why the disconnect? Well, according to the series' creator American McGee, it's all EA's fault. In a Reddit AMA thread yesterday, McGee says that while Shy The Sun (a creative company brought in to handle the game's trailers) were "fantastic", he also says the mood of the trailers was influenced when EA's marketing "interfered", telling them that final creative say lay with EA (and not with Shy The Sun or Spicy Horse, the game's developers). The resulting disconnect between what the game promised and delivered was, he says, "a calculated disconnect created by EA". 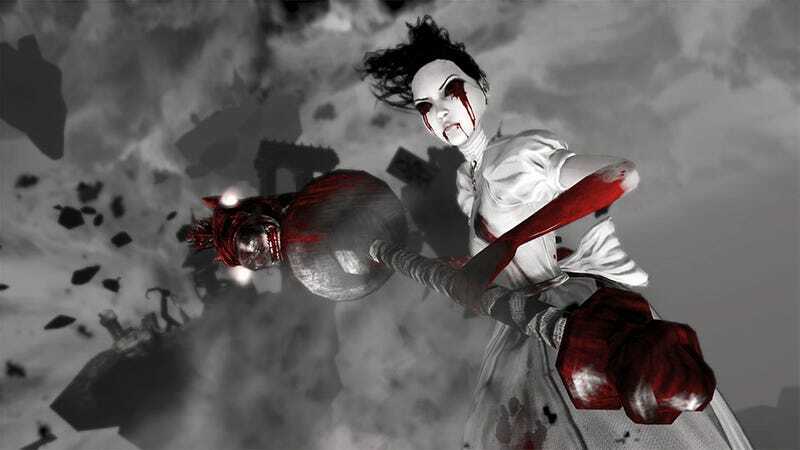 "They wanted to 'trick' gamers into believing A:MR was a hard-core horror title", he says, "even though we refused to develop it in that tone. Their thinking is, even if the game isn't a hard-core horror title, you can market it as one and trick those customers into buying it (while driving away more casual customers, like female gamers, who might be turned off by really dark trailers). It's all a part of the race to the bottom EA, Activision and the other big pubs are engaged in. Expect to see it get worse before it gets better."